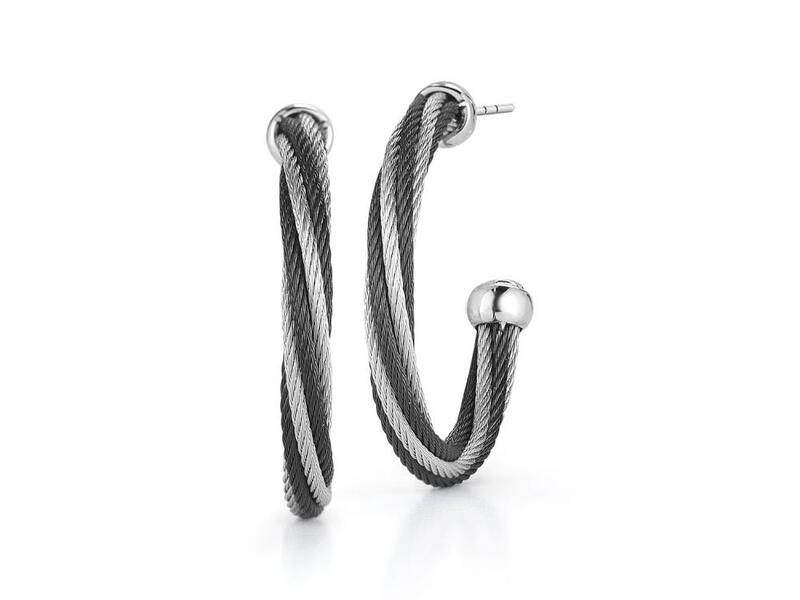 Black cable earring, 18kt. White Gold, 0.05total carat weight. Diamonds w/stainless steel. Imported.